North Claybelt CFDC funding announcements for Smooth Rock Falls! North Claybelt Community Futures Development Corporation (CFDC) is a community-based agency committed to fostering sustainable economic growth, diversification and business development through private and public partnerships. The CFDC receives federal support, and in-turn, administers a local investment fund to assist new or existing small businesses with start-up, expansion or stabilization plans that help maintain or create jobs from Iroquois Falls to Opasatika. 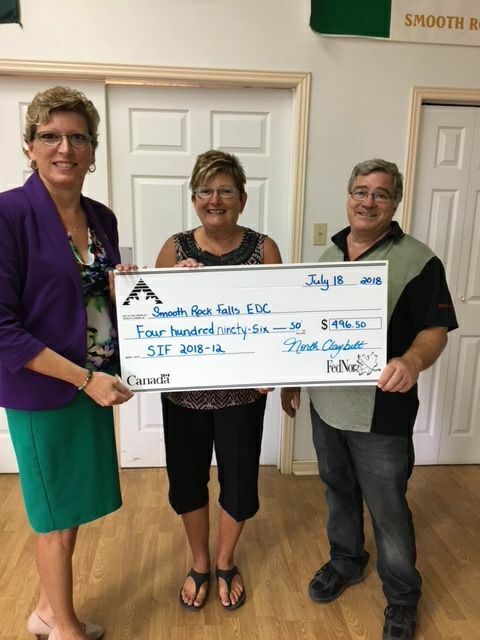 North Claybelt CFDC presented a cheque in the amount of $496.50 to The Smooth Rock Falls EDC under its Special Initiative Fund to purchase a multi-function printer. 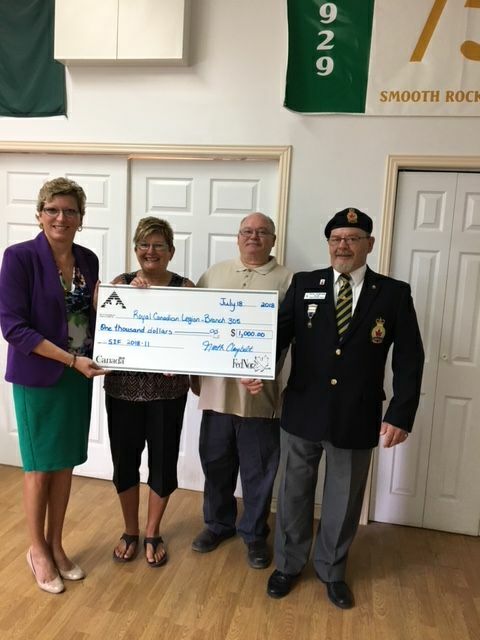 North Claybelt CFDC presented a cheque in the amount of $1,000 from its Special Initiative Fund to The Royal Canadian Legion – Branch 305 to purchase new tables and chairs. 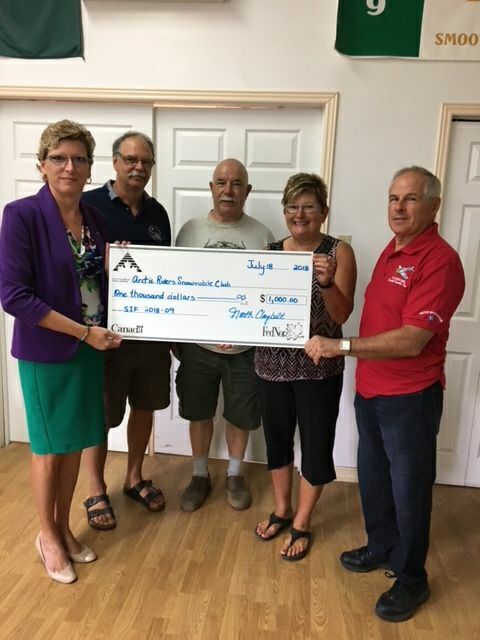 North Claybelt CFDC presented a cheque in the amount of $1,000 from its Special Initiative Fund to Smooth Rock Falls – Fauquier Arctic Riders Snowmobile Club to assist them in the repairs of the snowmobile trail groomer blade. Great news for Smooth Rock Falls!